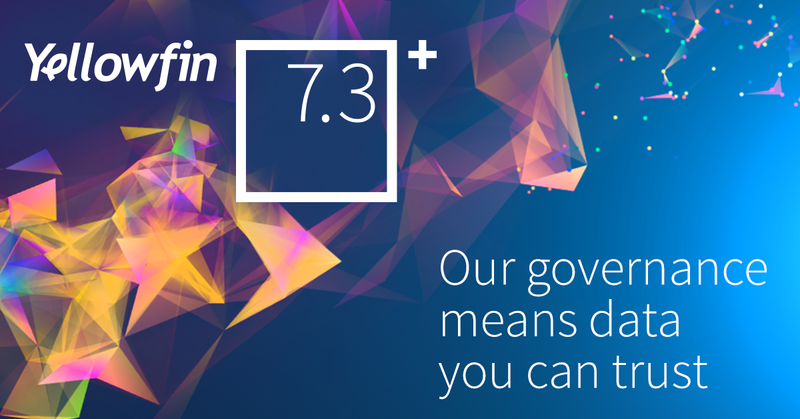 Melbourne, Australia, Thursday, 1 June – Yellowfin, the Business Intelligence (BI) and analytics software vendor dedicated to making BI work for everybody, launched the newest version of its software, Yellowfin 7.3+. The new release makes it easier for IT and data analysts to deliver governed, trustworthy data so business users can make keen business insights. “Yellowfin 7.3+ is amazingly intuitive for business users while still allowing developers the flexibility to create dynamic visualizations. This is truly where BI should be headed,” said analyst Whitney Lepore. Better Data Governance: Know that the right people can always access accurate insights at the right time with Yellowfin’s new View Approval Process and Change Management Modules. add, access, and act on your most important information assets in a single analytics platform with Yellowfin’s new range of data source connections.